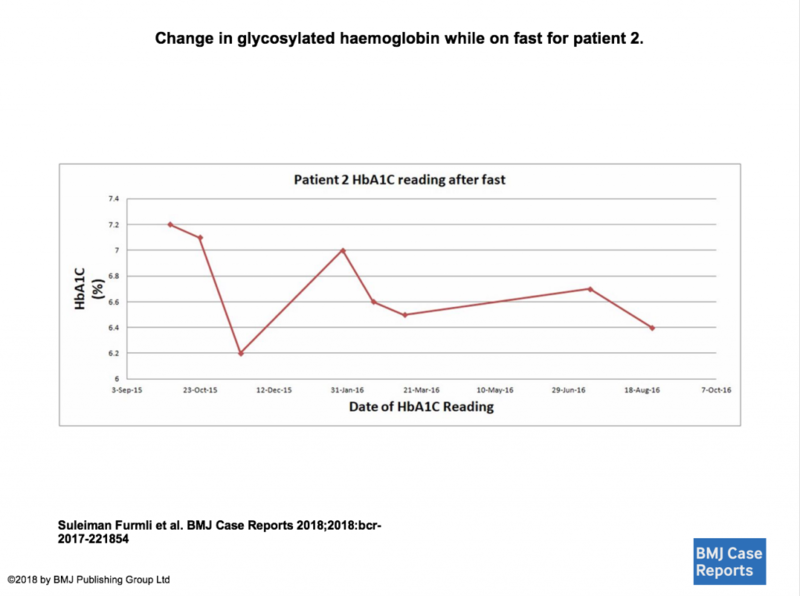 In this just released case study, physicians are actually reversing insulin-dependent Type II diabetes with intermittent fasting. In the study, reported in the British Medical Journal, Case Reports (BMJ Case Reports), patients were able to stop using insulin within a month (one case within 5 days). While this is an observational study, with only 3 patients, the turn around was remarkable and worth considering for your practice. “The use of a therapeutic fasting regimen for treatment of [type 2 diabetes] is virtually unheard of,” write the authors. “This present case series showed that 24-hour fasting regimens can significantly reverse or eliminate the need for diabetic medication,” the researchers conclude. 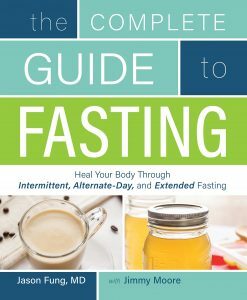 This study used a diet from the The Complete Guide to Intermittent Fasting, by Jason Fung MD. In his book, Dr. Fung explains that by regularly lowering insulin levels, the body becomes more responsive to insulin. High insulin resistance, the opposite of insulin sensitivity, is at the root cause of Type-2 diabetes, as well as many other conditions, including cardiovascular disease, obesity, high cholesterol, fatty liver disease, gout, GERD, sleep apnea and even cancer. A link to a the full text of this study and a Google Books preview of Fung’s book is available at the end of this post. They stuck to this pattern for around 10 months after which fasting blood glucose, average blood glucose (HbA1c), weight, and waist circumference were re-measured. All three men were able to stop injecting themselves with insulin within a month of starting their fasting schedule. In one case this took only five days. Two of the men were able to stop taking all their other diabetic drugs, while the third discontinued three out of the four drugs he was taking. They all lost weight (by 10-18%) as well as reducing their fasting and average blood glucose readings, which may help lower the risk of future complications, say the authors. Feedback was positive, with all three men managing to stick to their dietary schedule without too much difficulty. Medically supervised, therapeutic fasting regimens can help reverse type 2 diabetes (T2D) and minimize the use of pharmacological and possibly surgical interventions in patients with T2D. Therapeutic fasting is an underutilized dietary intervention that can provide superior blood glucose reduction compared with standard pharmacological agents.